It's no surprise that award show season brings a guilty viewing pleasure for those in the events industry - it's dream- worthy to think about the number of professionals, the vendors, the decor, the celebrities, media attention and logistics that go into such awesome productions. I had the pleasure of sitting in on a great session at this years The Special Event, (Secrets of Award Show Producers) which featured VP of Production, Branden Chapman of the Recording Academy. The two hours spent with him were so fascinating, I wouldn't miss one of his masterpieces - the 56th Annual Grammy Awards! Below is the LIVE play-by-play of Grammy's reactions and observations -- here we go! 11:45 PM - And thats a wrap! Albeit a bit conservative, this years Grammy's were filled with newbie winners, unexpected duets, throwbacks and reunions! A little something for everybody. 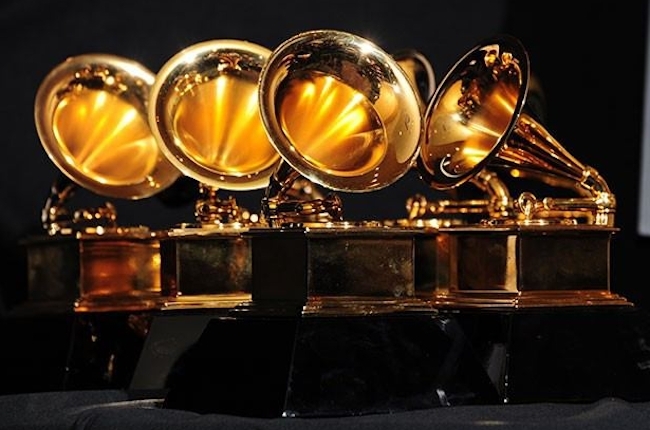 This Grammy's will go down as the year of the weddings, Pharrell's hat, Robot wins, Blue Ivy's gold sippy cup, Pink's gravity defying performance, and a hair-flipping and awkward dancing Taylor Swift. Until next year - goodnight! 11:30 PM - During this unusually long commercial break - one must also contemplate - who wore it better? Pharrell or Smokey the Bear? 10:57 PM - Steven Tyler just totally went off script. That could have been disastrous - but since he's found meditation (instead of meth) - it worked out ok. On another note-- he looks like a Bee Gee, no? 10:55 PM - The Metallica light show is pretty epic. Another great collaboration that brought me back to my high school days! 10:49 PM - Obsessed with a good satellite stage! It's not the first time I've noticed it tonight - but I'm just now deeply digging how the main stage has a subtle floor "catwalk" to it's circular extension in the middle of the room. TIP: Keep the suspense and draw the eye of your audience to various surprise points in the venue! 10:35 PM - TRENDING: Thanks to Lorde we should all substitute the word "awesome" for the revival of "mental" . Example -" The hors d 'oeuvres at the event last night were totally mental!" 10:17 PM - You know there's only 45 minutes left in the show when it turns country. But, finally! The Grammy's are smartly using their screens as a mosaic backdrop. So much $$$ pumped into their A/V and we've not seen their screens as much as we should. Love the old west look of this segment with changing sky. Sets the tone perfectly! 9:53 PM - Remember the country singer, that year, that had the twinkly boots and neon cactus? Nope. UPDATE: Yeaaaah, that country singer (Kacey Musgraves) totally shoots an arrow through Taylor Swifts Grammy Night. See the unexpected reaction here. 9:45 PM - When in doubt - haze the stage with fog. [and make sure Taylor Swift dances with her mom in the front row- yikes] EDITOR'S NOTE (From the Desk of Adam Sloyer): Couldn’t let Faye gloss over the the Imagine Dragons / Kendrick Lamar performance. Both the music and the set brought passion, creativity and an injection of energy to a show that otherwise lacked all three. For anyone that missed it, this is what the Grammys should be all about. 9:36 PM - Awkward alert -- Jaime Foxx stumbling over his words as he (jokingly?) hits on Mrs. Carter. Um. Ok. Also … where the heck is Timberlake!? I guess he couldn't get out of Target and Mastercard commercials in time to show up? 9:31 PM - The one time you don't care (and almost wish) that the presenter messes up the teleprompter? Ozzy, thank you for following through. 9:23 PM - Lorde = The Alanis Morrisette / Fiona Apple of 2014. 9:17 PM - Yes. YES! So what if the aerial act is predictable? Pink rocks. And she's actually singing while partaking in this malarky. Impressive. You can jam to the song AND you're entranced with her show? 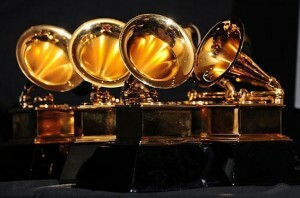 Thats a double whammy that the Grammy's needed to keep the energy going. 9:10 PM - Really? Another soloist, playing a piano? I'm starting to think that the pacing isn't quite right with this years show. Taylor is good - but following John Legend on piano slows this whole production down. Her performance could have totally used a Jennifer Lawrence photo-bomb to lighten it up a bit. Would find it hard to believe that the Recording Academy doesn't vet the songs that would be performed - but to place so many somber songs back to back? Meh. What do I know? She got a standing O. 8:50 PM - Who doesn't love an Edison bulb? You know… THIS. Although Keith doesn't knock my socks off - his simple, vintage set design works for me (electric country). Makes me think of the Grammy set of 2013… wait… I've said NOTHING about the set for this year. Is that the point? I distinctly remember the 2013 set and loved it. But I'm underwhelmed by this years set. Is that ok? UPDATE: I just noticed a small sprinkling of edison bulbs draped over the audience - similar to last year. Now I'm wondering, is it ok to replicate what you did the year before? 8:45 PM - Break out the smoking jackets and brandy kids - the big band and crooning trend lives on! Our second collaboration of the night, Chicago and Robin Thicke, makes for easy listening. And because it's not depressing - I'll take this good music mash-up over a weird soloist any day. *Side note: Where can I get a gold plated microphone? 8:34 PM - Ask and you shall receive. Katy Perry finally brings the choreographed dancers and scenic design. Oooo, a light-up bra and horse? Nice touch. Not enough color though. I now wish upon The Grammy Gods that we get some color in this show. We've now seen 4 performances that were dark and gloomy. 8:28 PM - I know this is going to sound overly critical, but this is the Grammy's people! Hunter Hayes becomes the second forgettable performing artist so far. Not even the moving, inspirational quotes from notables could save it. 8:15 PM - Interesting, Lorde is the second musical act that has focused more on the musician, than on a flashy, choreographed show piece. I love this song and I'm pretty sure the dismal lighting is on purpose - but I'm already missing something flashy. NEXT! 8:12 PM - Category presenters shouldn't get more than 30 seconds - especially when sarcasm makes people go "huh?" 8:08 PM - This opening monologue is a sleeper - I'm distracted by this velour suit trend - LL Cool J in plum, Macklemore in emerald. I have mixed feelings. 8:05 PM - I take that back, even more genius? Beyonce brings her husband onstage with her. Bey + Jay = Epic. The Carter's are "Drunk in Love" and killed it. All we need now is Timberlake. (just kidding). Love that this is the YEAR of the collaboration. Grammy's are capitalizing on big duos - and like LL Cool J just noted, music has an amazing ability to bring people together. 8:00 PM - No surprise here, Beyonce is a genius opener. Special effects not required. She shines on her own (wet hair and all) with just a single black chair. Boom.